Living a healthier, less toxic life has never been easier. Obviously, the first place you should turn to is our very own Non-Toxic Munchkin (blog or via Facebook or Instagram ) to ask any questions you might have about transitioning to a less chemical dependent life . Obviously. However, for those situations when you are on the go- for example in a store about to buy a product and you need immediate help, or just want after-hours help around the house, there are great apps that you should have handy at all times! These apps not only have great information available about non-toxic products, they can also make your life easier since some of them allow you to order products directly from the apps. All are from very trustworthy sources - so you are in good hands. What it is: Launched at the beginning of this year, this is one I am super excited about. It is a, really easy to use, app that can help you make small changes at home to help you reduce the chemicals you and your family are exposed to every day. "Don't buy antibacterial dish soap. Although marketed as germ-fighters, antibacterial soap are actually no more effective than regular soap and water. Worse, triclosan - the most common ingredient in antibacterial soaps- disrupts thyroid and reproductive development in animals and may contribute to the spread of antibiotic-resistant bacteria. There are many other antibacterial additives that have not been thoroughly tested for safety. So stick to regular soap and feel confident that your dishes are clean and your body protected. Silent Spring Institute in Massachusetts. This non profit has been focused on studying the links between environmental contaminants and cancer, especially breast cancer for over 20 years. It is made up of top researchers and scientists - basically you are getting legit researched-backed recommendations in an easy to use app. Downside? It could potentially be overwhelming since it is so thorough. Just when you think you have reviewed tons of tips (and hopefully made changes!) you realize there are like a million more still unread. Take it slow and remember that any little change you make, makes a difference! Also good idea to use their feature that allows you to set up reminders for behaviors you would like to work on. How to get it: It's free! Available on Google Play and the App store. What it is: Most of us have no idea what that long list of ingredients on the back of our beauty products are.... are they safe? Will they mess with our hormones? Enter Think Dirty, who looks at any given product's ingredients, does the research on each and every one of them and then ranks them so that you know if they are safe or toxic to use. How it works: You can enter a name of any product you have at home or are considering buying, or even scan the barcode and Think Dirty will give you the low down on all the listed ingredients and rate them from 1 to 10 (10 being the most toxic chemicals ). Try sticking to those rated 0-3. How to get it: It is free! You can download on your app store right now! What it is: Even though Honest Co has had its critics and a recent Wall Street Journal investigation found a 'toxic' ingredient they list as never using, in their laundry detergent, I still like their diapers and wipes and candles. Honestly, they are the cutest and their overnight diapers work better than Huggies at our house right now. Their candles are safe, nontoxic and not ridiculously expensive. How it works: The Honest App was recently launched and is a straightforward one-stop shop for purchasing all things Honest Company. 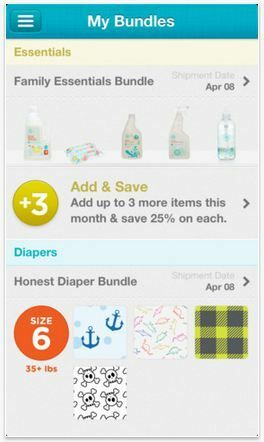 Non-Toxic Munchkin loves: The app makes ordering or updating your bundles easier than ever. Downside: Well, it will be interesting to see from now on, after SLS was found in their laundry detergent, how the company works to win back the public's trust so that we can make sure what we are purchasing are really, truly products that work well without toxic chemicals. How to get it: Free at the App store. Currently only available for Iphone. The World Health Organization has classified it as a probably carcinogenic to humans. Non-Toxic Munchkin loves: I like their " Four simple Tips" section which educates you with, yes, 4 easy tips you can use to identify and avoid GM ingredients when you don't have the app handy. Fellow news nerds will enjoy their "Whats New" section that lists various new and notable events regarding food safety. Downside: It is not as easy to navigate as other apps - like I mentioned, I still can't figure out their search option. However, it is full of useful material, you just have to search and read. How to get it: This App is free and available for both Iphone and Android. The Environmental Working Group is like the 'Big Daddy' of environmental research, education and lobbying for environmental reform laws in Washington. They constantly publish groundbreaking and influential research and lead campaigns for change in the White House and in corporate America, all with the goal of helping us, the public, lead a healthier, less toxic life. 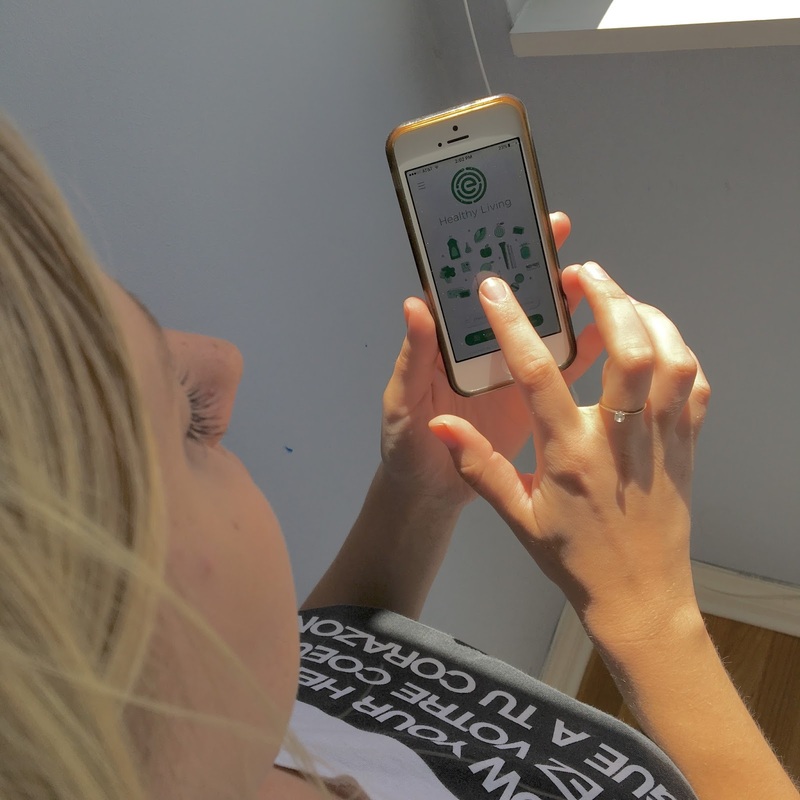 Recently launched, the folks at the EWG decided to combine two of their amazing and most popular databases (EWG's Food Scores and EWG's Skin Deep) into one Healthy Living App. So, in this one app, you can look up the product health and safety ratings of over 200,000 food and cosmetic products! In terms of food, this app has information (they rate based on nutrition, ingredient concerns and degree of processing) on over 80,000 foods, 5,000 ingredients and 1,500 brands of food. EWG's Skin Deep has information on over 80,000 beauty products; from shampoo, to makeup to children's products... which is huge because the US government does not require companies to test ingredients they use in personal care products for safety. How it works: Scan the barcode or type in the name of the product and voila! The pertinent information appears. Although I love the convenience of scanning beauty products at a store to determine if I want to try a new product or not ( I have been scanning away at our local Walgreens just for fun! ), I am a bit obsessed with the food portion of this app... I constantly look up random foods that I know are not healthy - just to find out just how unhealthy they are. For example : one of my childhood favs Kellogg's Frosted Flakes (who didn't love Tony the Tiger? ) Well, it scores a 9 out of 10 (10 being the absolute worse). Why? Downside: Not all products that exist are listed - but a pretty fair amount are. Do you know of any other apps you like to use? Let us know in the comments bellow!